Cranial Electrotherapy Stimulation, called CES in short, is a non-drug treatment for a wide range of health issues such as depression, insomnia, and anxiety. While it can be used as the only treatment method, most people choose to combine it with psychotherapy, psychotropic medications, biofeedback, etc. During CES, a very low current (usually pulsed at 0.5 to 500 Hz) is applied to the patient’stemples and earlobes. It is unclear whether the devices used have a superior wavelength or not but a few of them are available on the market. If you are suffering from pain and other disorders, you can get one of these CES devices. Keep in mind that you will need a prescription to buy the products in the United States. Consult a licensed professional regarding the problem before choosing this treatment option. The machines are usually used for about 20 – 40- minutes, several times each week. You have to use it for at least a month before you can experience the benefits. However, individuals may experience immediate relief. Especially those will anxiety disorder feel relaxed almost instantly. CES is not a very new concept. It has been on the market for a few years now and reports about its efficiency are positive. Find relief from stress, anxiety, depression & insomnia with Cranial Electrotherapy Stimulation. It seems like a safe alternative when compared with many other recent treatment techniques. However, if you are pregnant, nursing, or use a pacemaker, it is suggested to avoid using CES devices. Also, refrain from using it if you have any seizure disorder. Using the device can lead to nausea and dizziness, but the effect is minor compared to the relief from pain. 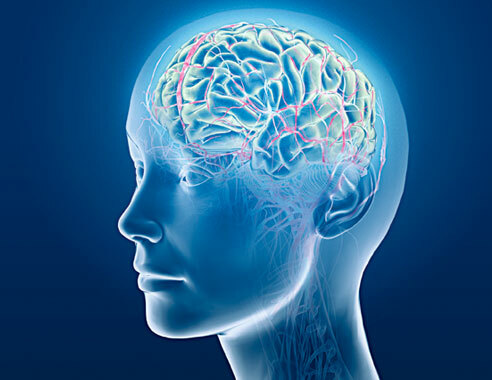 CES is a brain electro-stimulation psychiatry treatmentlike electroconvulsive therapy (ECT), transcranial magnetic stimulation (TMS), vagus nerve stimulation (VNS) and deep brain stimulation (DBS). Exactly how CES works in not known. It is assumed that these modulate the neurotransmitter systems inducing neurons to release dopamine, serotonin, andneurohormones. Particularly, CES acts on the hypothalamic region. This means it functions by bringing patient’s brain back to a state of pre-pathological homeostasis. Compared to the other modalities mentioned above, Cranial Electrotherapy Stimulation is safer, more non-invasive and affordable. These treatments can take between a few days to weeks before user experiences maximum therapeutic benefit. They can be used with psychotropic medications as well. CES, unlike the other electro-stimulation treatments, can be used as first-line treatment. The others should be only used for severe and refractory cases. Brain waves are classified into 4 types: Alpha, Beta, Delta and Theta waves. Cranial Electrotherapy Stimulation works by increasing alpha brain waves, which are more active when individuals relax. The waves seem to have a calming effect on the user’s central nervous system. Usually, the treatment is conducted by connecting an electrode to the patient’s earlobe. Side-effect such as nausea and dizziness usually subside after the first session, but each person has a different reaction. The level of anxiety reduces after every session. You must understand that this modality may not be appropriate for everyone. Apart from anxiety, it can be used for other mental disorders such as post-traumatic stress disorder, depression and stress.